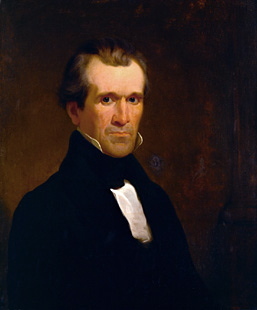 -Previously had served as a US Representative and US Senator from Tennessee, and also as Speaker of the House. 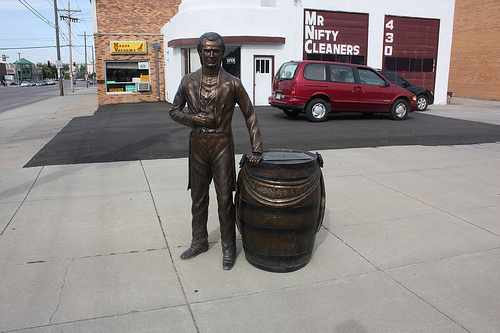 -He was seen as an outside contender for the Presidency in the 1844 Election. Former President Van Buren, future President James Buchanan, and others were seen as much more likely winners in the Democratic Party. 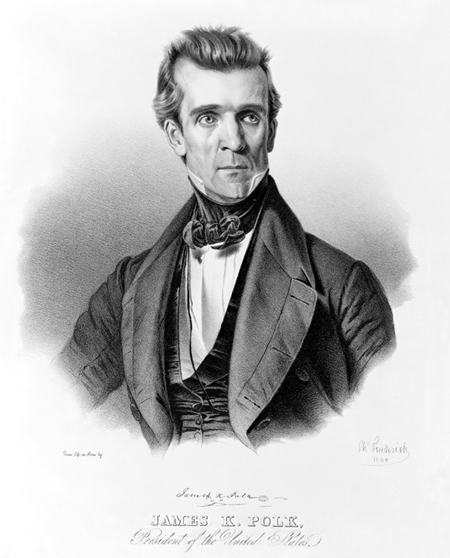 However, Polk was supported by Andrew Jackson, which made a tremendous difference. 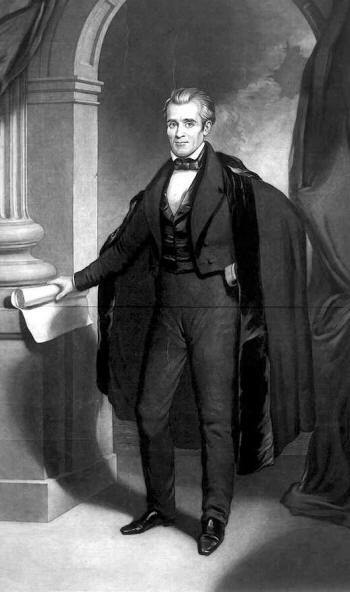 After a deadlocked convention, Polk was picked as a compromise between the various groups. -He is most notable for his accomplishments in foreign policy. He led the country successfully through the Mexican-American War, and intimidated Britain with war to establish partial ownership of the Pacific Northwest. The Mexican-American War paved the way for American ownership of land all the way to the Pacific. The treaty that ended the war forced Mexico to cede land in California, Texas, Arizona, New Mexico, Utah, Nevada, and Colorado. Many politicians against the war saw it as America Britain ceded land, which would eventually become Oregon Territory. He also tried to purchase Cuba from Spain in 1848 for $100 Million dollars, but Spain refused because it was such a major financial support for their economy. -He is seen as one of the most successful Presidents in history, because his plans coming into the White House were all fulfilled. He wanted to annex Texas (Tyler did this before Polk became President, just to spite him. He detested Polk.) and he wanted to establish land ownership out west with California and Oregon Country. These were the issues that secured his election victory in 1844 over Henry Clay (that guy just couldn’t win an election). After the election, he established two more important goals: an independent treasury (just like Andrew Jackson, he was against the Bank of the United States. 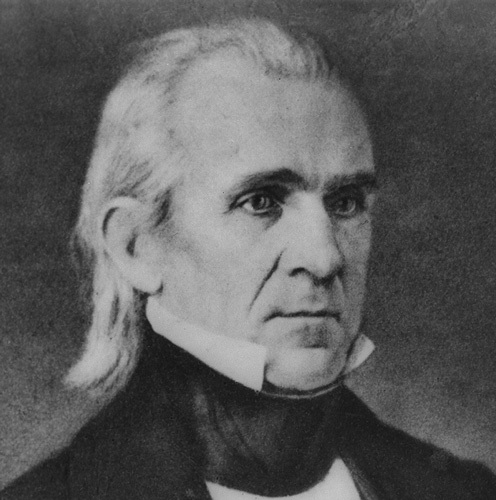 However, Polk actually succeeded in his efforts to remove the bank), and the removal of many tariffs, which he saw as hurtful to America. Both of these goals were also accomplished. -His time in the White House weighed heavily on him. The stress of the Presidency made him susceptible to disease, and he caught Cholera shortly after leaving office. He died only 103 days after leaving office (the shortest retirement ever). Polk was so against a national bank and the use of paper money that he literally carried around sacks of gold and silver wherever he went. Because of Polk’s surprise nomination, Henry Clay and the Whig’s would often exclaim “Who is Polk?”. Polk was so “physically undistinguished” that he was often ignored when he entered a room. To increase respect for her short, unkempt husband, First Lady Sarah Childress Polk one day decreed that whenever he entered the room a Marine band would play an old Scottish anthem. It soon became traditional to mark every presidential entrance with the song: Hail to the Chief.